Suzanne can offer an in depth knowledge of anatomy and has been known to study anatomy books as bed time reading! Her career encompasses working in private practice at Blackheath Complementary Health centre from 2000 to 2005 (where she also worked as the Practice Manager) and Marlborough Well Being Centre from 2008 to date. She also worked with cancer patients as an aromatherapist at the Douglas Centre in Queen Mary’s Hospital in Kent and as a volunteer in a hospice in Zambia in 2006 and 2007. Her client experience ranges from treating people with bad backs and aches and pains to cancer and palliative care and autoimmune disorders such as fibromyalgia. 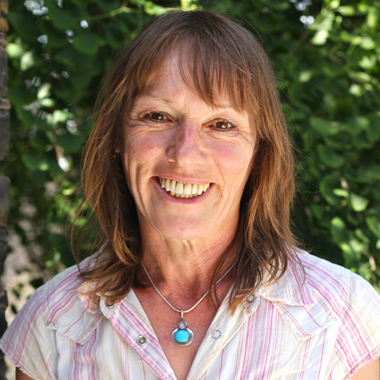 Alongside her training in physical therapies, Suzanne has continued with her own personal growth and study of the mind, body, spirit connection and consequently brings an added depth to her practice and can offer the skills and containment required to help release the physical and emotional effects of depression and trauma. Suzanne has a particular interest in the body’s fascial network – a 3D continous web of connective tissue that extends uninterrupted from the top of the head to the tip of the toes. It surrounds, infuses and protects every other tissue, tendon, muscle, bone, ligament and organ of the body, providing cushioning and a supportive mechanism. It is dynamic and fluid with all components in instant and continuous communication. It has been likened to a liquid crystal matrix capable of both receiving and transmitting information. Within it are microscopic cells which have the ability to retain memory. It could be said that our unconscious mind is not restricted to the brain, but flows freely through the fascial system. She says: ‘The paragraph above about fascia is a summary of information that completely blew my mind, turned my understanding of anatomy and biomechanics upside down and left me wondering about the possibilities of human potential. Fascia is, for me, a tremendously exciting and tangible linking mechanism of mind, body and spirit. In order to investigate and explore its potential in more depth, I have had to turn my attention to the practice of truly being inside my own skin and focus on feeling the sensations and emotions inside of my own body in order to feel more deeply into my clients. Fascial restrictions do not show up on CAT scans, MRI’s or X Rays. Many people are suffering unresolved physical and emotional pain because of undiagnosed fascial trauma.